Celebrities are always good gossip but truly nothing is better than seeing them with their pets. When the rich and famous have fur babies it really makes them possible to relate to. It gives them some sense of normalcy they wouldn't otherwise have. 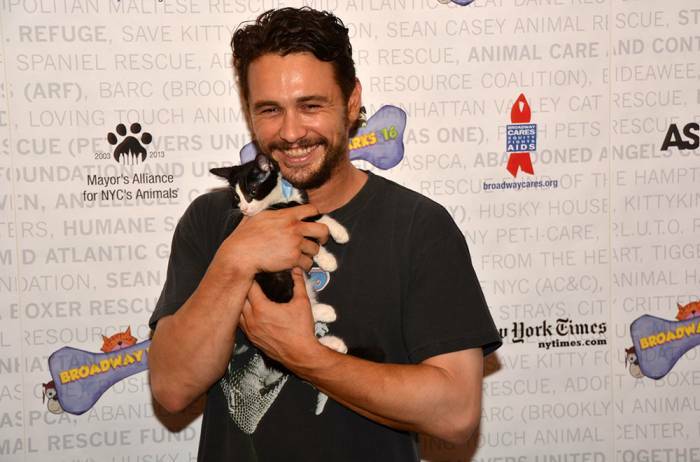 In fact, any celebrity who doesn't love animals might be a robot, but I can't prove that. 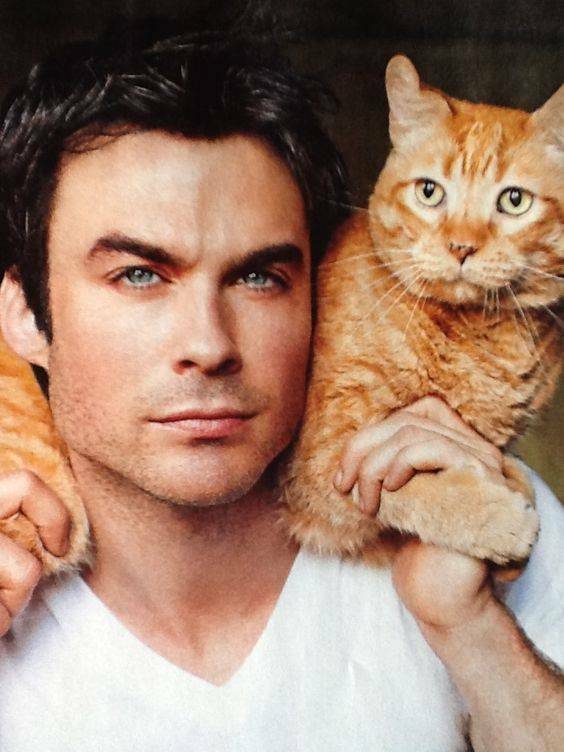 Of course, the best of the best is hunky celebrity dudes and cats. That's like the absolute best of both worlds. I can't say I didn't enjoy researching what Hollywood men love their feline counterparts because I definitely enjoyed it. 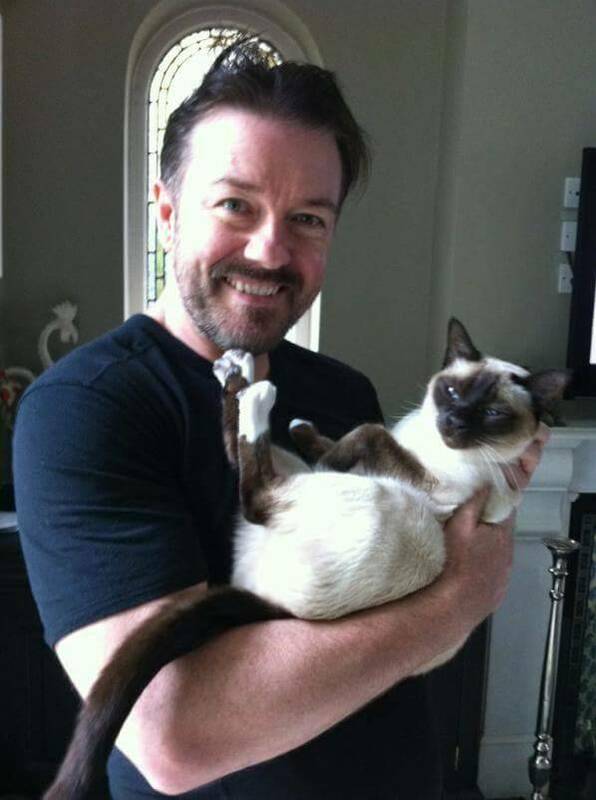 Ricky Gervais loves his cat, Ollie, so much that he made a Facebook page for him and its amazing. 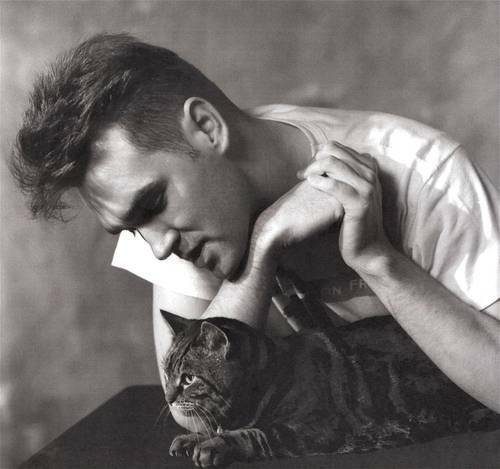 Morrissey is a musician who loves cats so much he literally made a Tumblr all about him and cats. He's the hero we need. 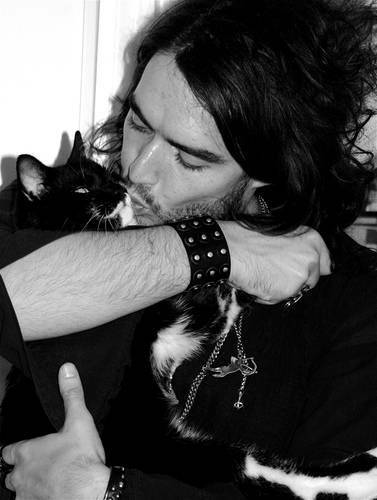 Russell Brand named his cat Morrissey. 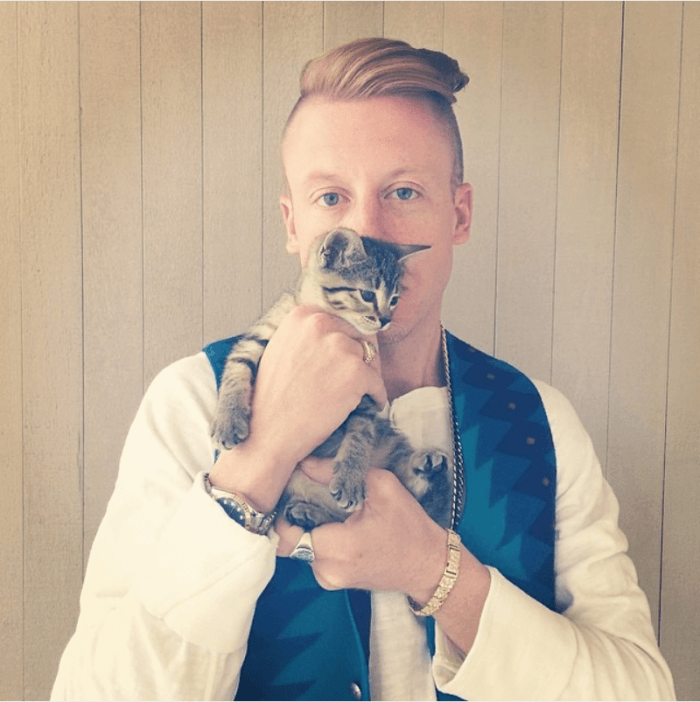 Ok he fosters and adopts abandoned kittens, I love him. 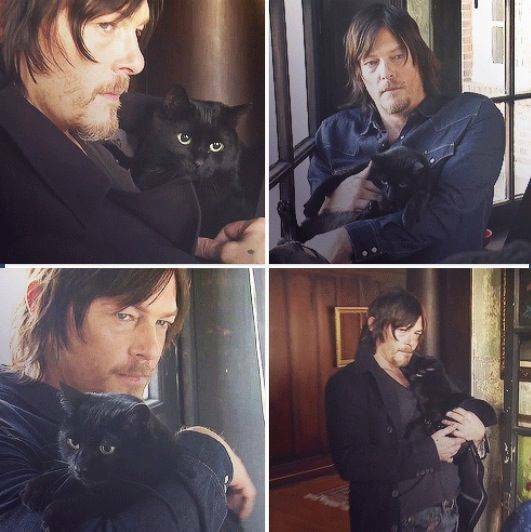 The Walking Dead star is a major lover of furry felines. His kitty even has his own Twitter! James has been pretty loud and proud about his love for cats for a long time. 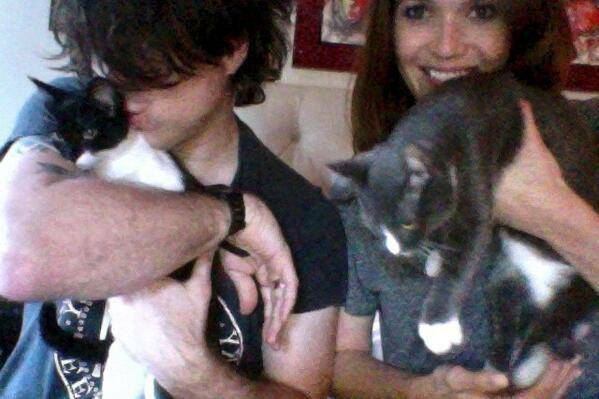 The couple was very excited to share the adoption of their two cats with the world. Cairo the cat has his own Instagram, thankfully. 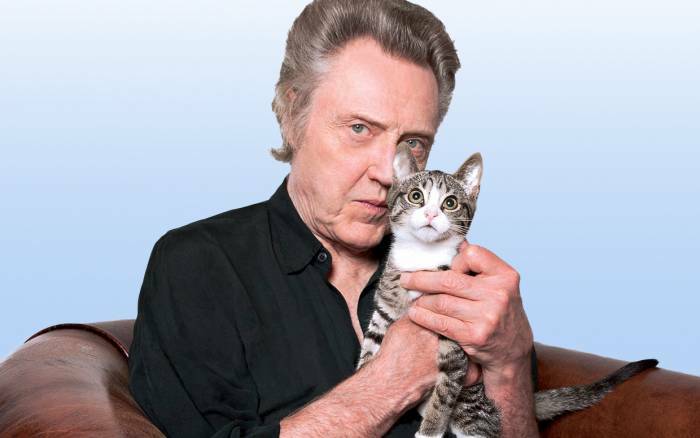 He may need more cowbell but this man loves cats so much he wrote a book about them.